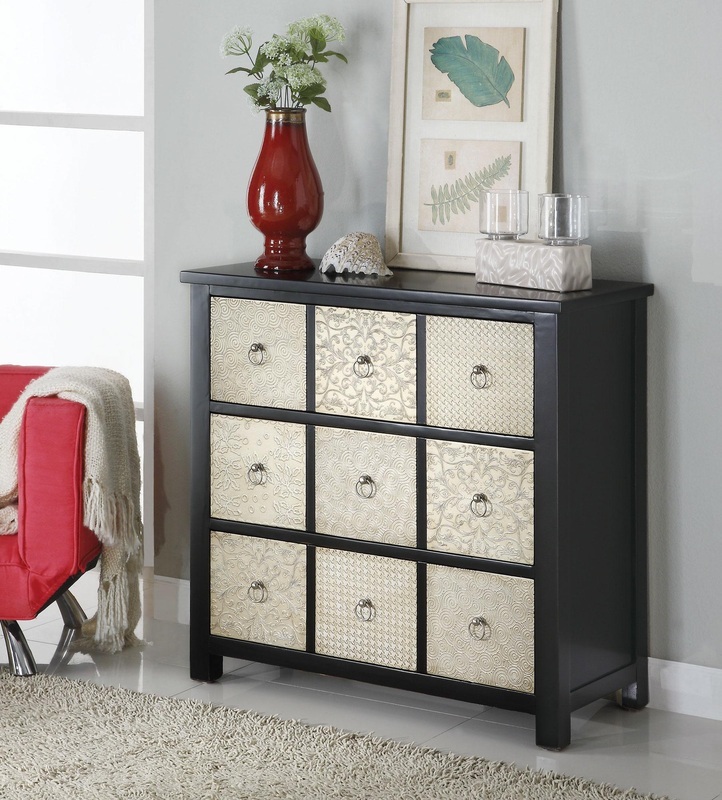 Create a modern space in your home with this three drawer accent cabinet. The cabinet features a Cappuccino finish and imprinted metal drawer fronts. Case sides are paneled and drawer fronts are sectioned into three metal squares each, creating the visual illusion of nine drawers instead of three. Feature this accent cabinet in your living room, dining area or bedroom for a fashion forward break from the norm.